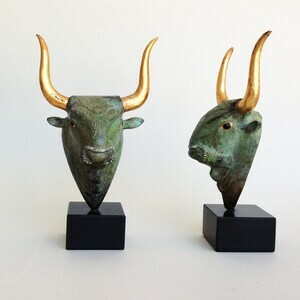 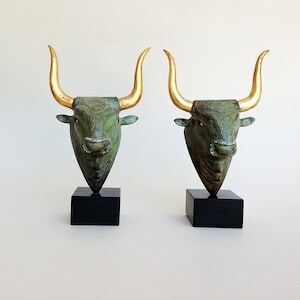 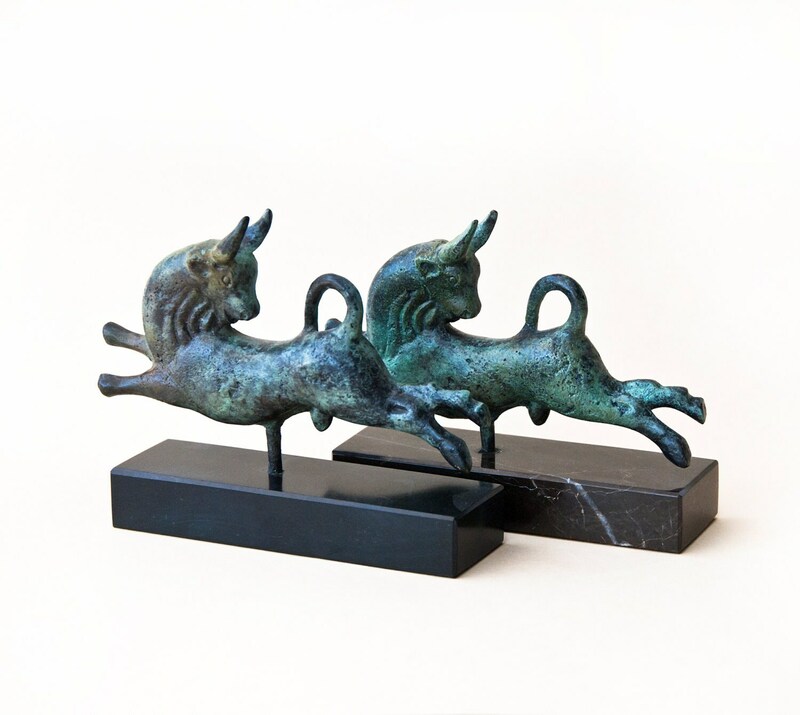 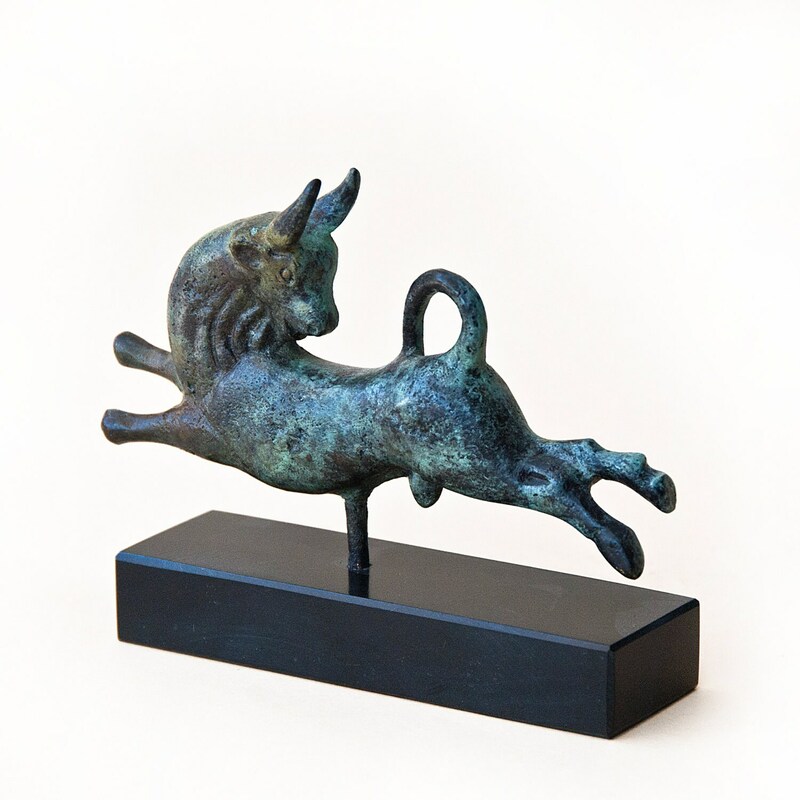 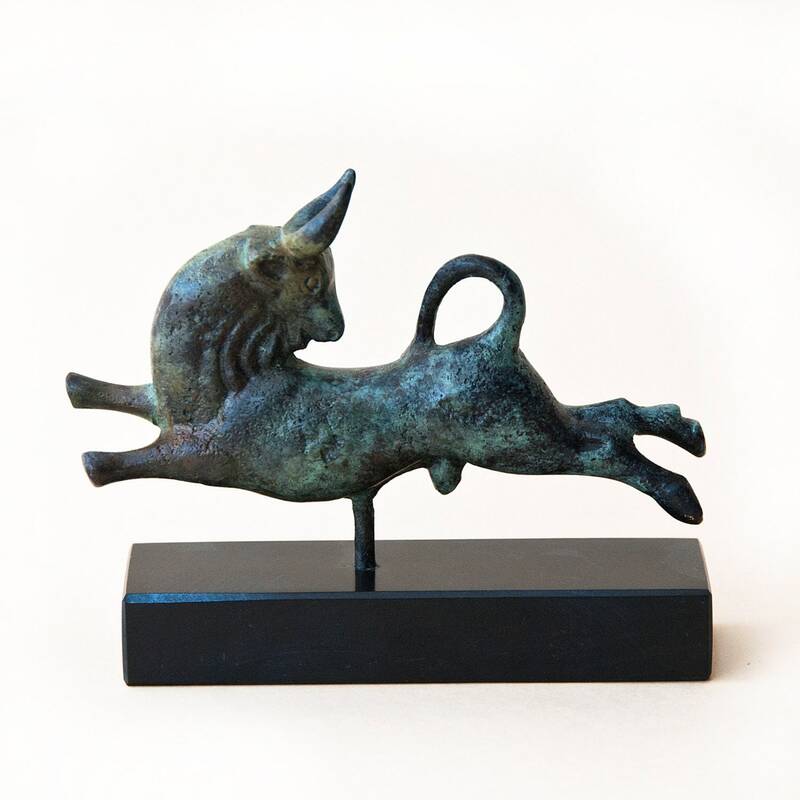 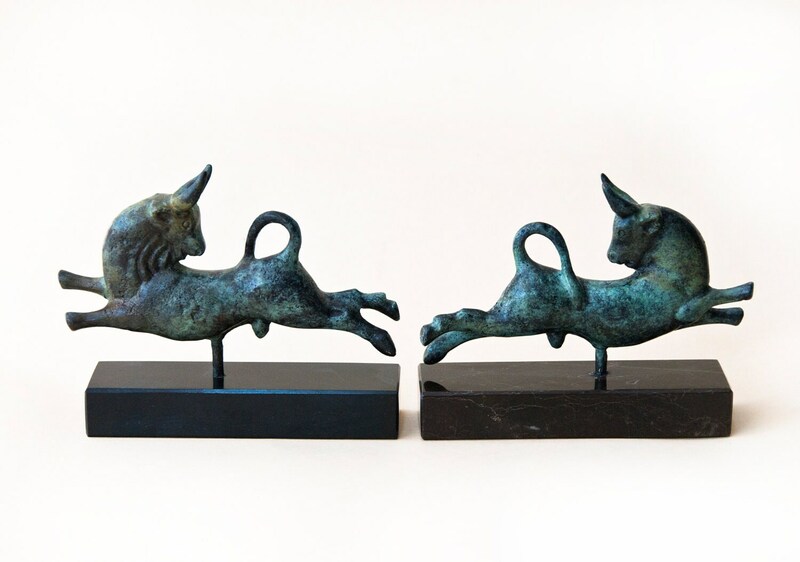 Greek Minoan Bull Sculpture, Bull in Leap, Metal Art Sculpture, Bronze Sculpture, Museum Quality Art, Greek Art, Ancient Greece. 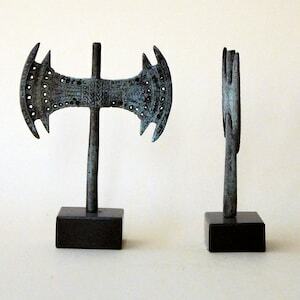 Height: 3.6 inches / 9 cm base included approx. 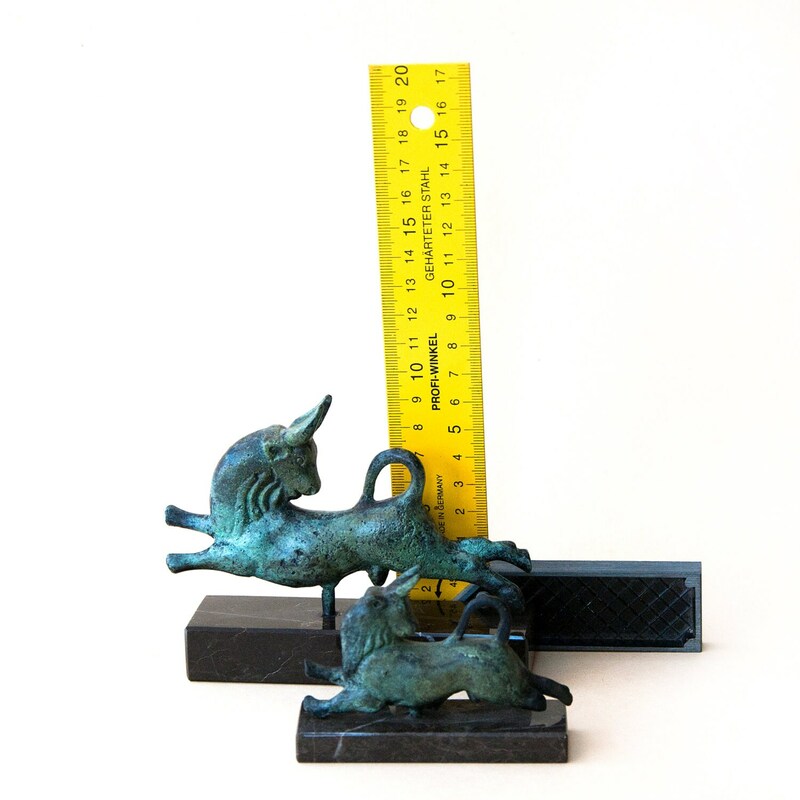 Length: 5 inches / 12.5 cm approx.